For 9th to 12th graders. Space is limted. Priority given to those who register in person or by phone (866-805-7323). 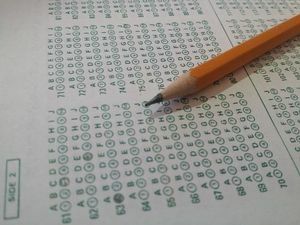 Participants will take a full-length computerized practice test (SAT or ACT), recieve their score, and suggested study areas. Test takes approximately 4 hours. Bring a pencil and calculator. Practice test offered montly August - December 2018. Text @tracyteens to 81010 to recieve text message reminders for upcoming teen programs.